April 3. - The Hungarian Prime Minister Count Pal Teleki committed suicide, not wanting to take part in the invasion of Yugoslavia. April 3. - The Talks of Yugoslav, Greek and British military representatives in Florina. April 4. - Vlatko Macek reached Belgrade and took deputy of the prime minister. 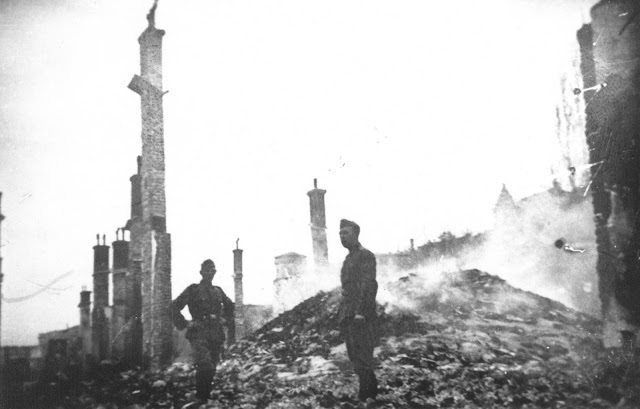 Belgrade, Zagreb and Ljubljana in the event of a state of war be declared open cities. April 5 (in fact 6. 4. early in the morning) - signed the Pact of friendship and non-aggression of the USSR and Yugoslavia. April 6. 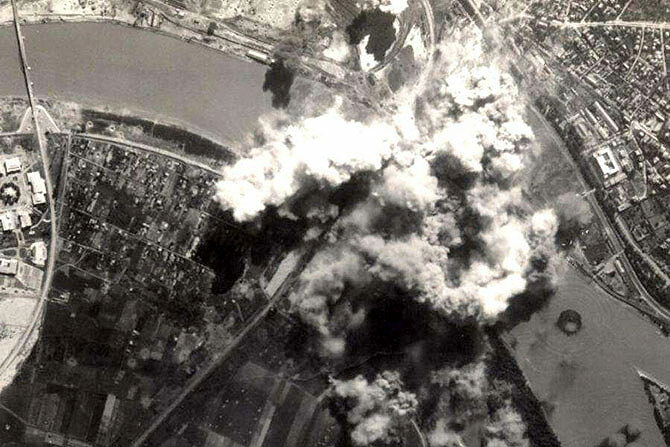 - The attack of Germany against Yugoslavia begins April war - the bombing of Belgrade and air bases, attack of the German 12th Army on Macedonia. April 6 - Germany attack on Greece (Operation Marita, part of the Battle of Greece). April 7 - Skopje Occupied - cut the main connection between Yugoslavia and Greece; also the second attack of the German Army on Slovenia and Croatia. April 8 - Vlatko Macek left the Royal government; attack the German forces from Bulgaria on Serbia. April 9 - Germans controlled Macedonia, occupied the Thessaloniki in Greece. April 10 - German breakthrough in northern Croatia and Slovenia leads to the collapse of the front. April 10 - Before entering the Germans in Zagreb declared the Independent State of Croatia (Slavko Kvaternik); Vlatko Macek called membership HSS loyalty on the new state. April 10 - As Yugoslavia "does not exist", the Hungarian government made entry into the "southern regions" (Prekomurje, Baranja, Backa), Banat in the dispute with Romania. 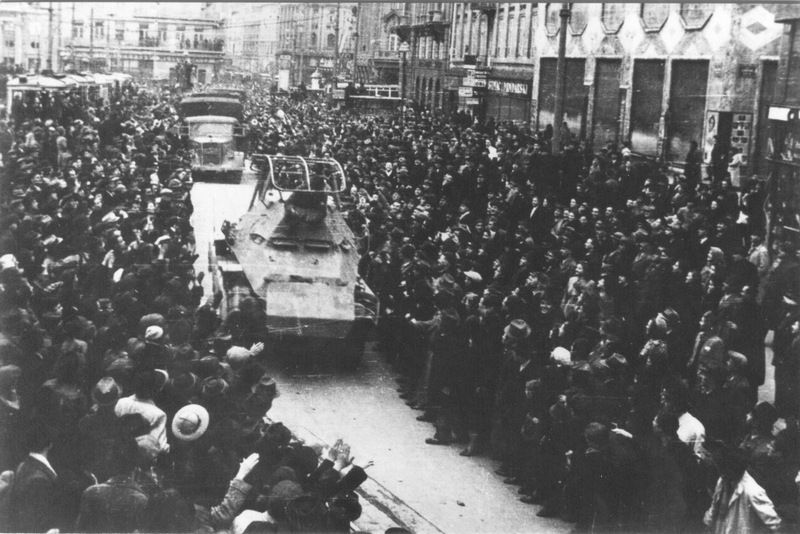 April 10 - Politbureau of the Central Committee of Communist Party of Yugoslavia in Zagreb decided to move to Belgrade and establish a Military Committee to resist the aggressor. 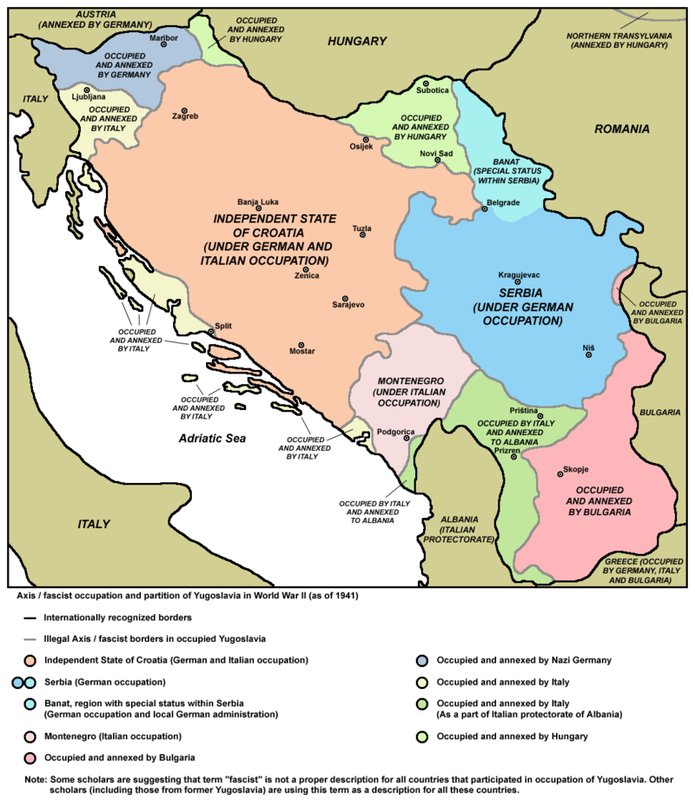 April 11 - The Italian forces enter Yugoslavia. April 11/12. - Crews sank monitors "Sava", "Vardar" and "Morava" near Belgrade, Sava bridge blown down on one of the boats, with great sacrifices. April 12 - Germany occupies Belgrade. April 14. - The Yugoslav Supreme Command requested a truce, the Germans would accept only unconditional surrender. April 15. - The King Peter II of Yugoslavia and the Government left the country; occupied Sarajevo, captured the Supreme Command of the Royal Army. April 15th - Ante Pavelic arrived in Zagreb (two days earlier in Karlovac met with Edmund Vezenmajerom). Germany and Italy recognized the NDH. April 17 - Completed unconditional capitulation of the Kingdom of Yugoslavia (effective the next day at noon). April 17 - Lieutenants Milan Spasic and Sergej Masera sank the destroyer Zagreb in the Bay of Kotor, sacrificing their lives. April 18 - Greek Prime Minister Alexandros Korizis committed suicide (notified that he had died of heart). April 21 - General Georgios Colakoglu signed in Larissa surrender of Greece army. April 22. - German aircraft. gen. Helmut Forster filed to take occupation administration in Serbia (he remained until June). April 22 - 24 - At a meeting in Vienna certain Italian-German demarcation line in Yugoslavia. Bosnia assigned to the ISC. April 23. 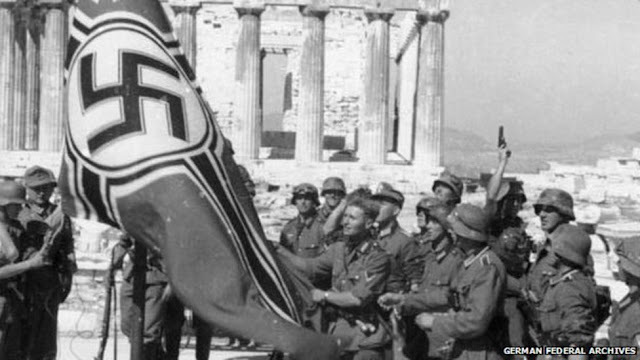 - Greece signed a truce with Germany. April 27 - In occupied Slovenia formed the Liberation Front. April 27 - Adolf Hitler visited Maribor, ordered the displacement of Slovenians from Styria and Carinthia. April 27 - Germans in Athens. April 30 - Ante Pavelic issued a legal provision of the race, the basis for the persecution of Serbs, Jews and Gypsies. April 30 - In occupied Serbia set commissioner government. 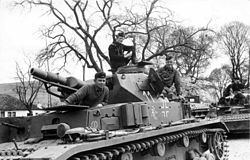 April 30 Germans complete occupation of mainland Greece, trapped and 1500 Yugoslavs.